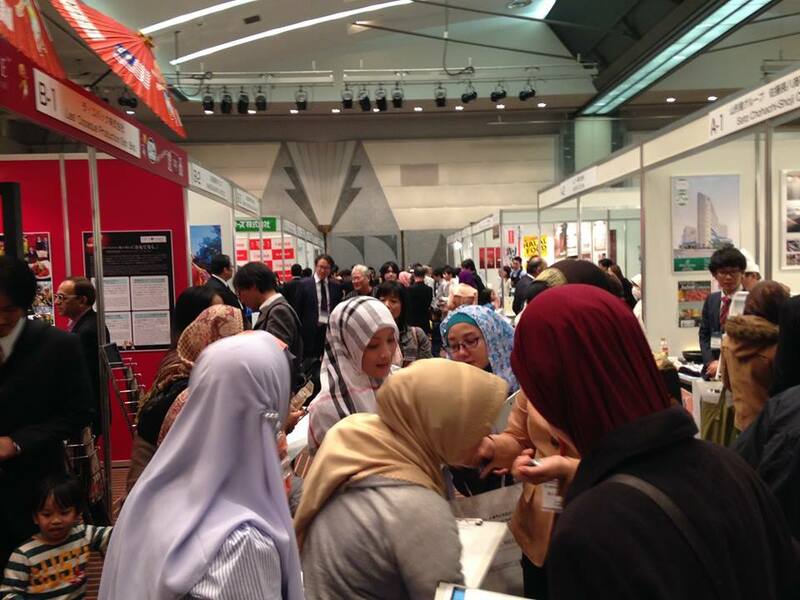 JAPAN HALAL EXPO 2014 was held at Makuhari Messe on November 26~27 of 2014. The event was cosponsored by HALAL MEDIA JAPAN. Total of 3,260 people attended the event for 2 days and looked around “Made-In-Japan” halal products presented by 65 companies. Worship space was provided in the separate room. Many Muslims living in Japan have attended the event as well and exchanged opinions such as “is it halal certified?”, “to what extent are the ingredients information being disclosed?”, “are the kitchens and cookware provided separately?, etc.”. We heard comments from Muslim participants saying “There are many foods that we would like to try out in Japan but because of halal issues, we are not able to eat them. So we really appreciate the providing of halal corresponding foods”. Many overseas buyers came as well expressing their opinions by saying “since Japan already has a high level of sanitation, we believe the market is going to expand by corresponding to halal”. With this as the first opportunity, we are forecasting the future advancement of halal correspondence in Japan, along with full-scale correspondence in gearing up toward the Olympics. HALAL MEDIA JAPAN will support this activity with full-force effort.